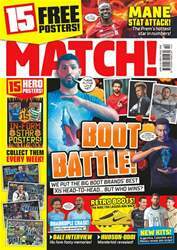 If you’ve got a football-mad kid, then you need to get them a digital subscription to MATCH Magazine! Packed full of the latest Premier League news, interviews with the games biggest stars, and more stats and facts than you can shake a stick at, each issue brings young fans closer to the teams they love! For your budding future stars, MATCH Magazine also has detailed tips and guides to help them hone their talents and show off their footballing skills. There’s also quizzes and jokes in every issue to keep them entertained and all the scores from the Premier and Football Leagues. If you’ve got a young one who’s football mad then what are you waiting for? Get them a subscription to MATCH Magazine today! Since 1979, MATCH Magazine has been delighting the football-mad kids of the UK every month. Each issue is packed full of football news, cool photos, interviews with top players, quizzes, jokes and a whole host of features. We all know that young football lovers are mad for stats and with the MATCHFACTS section they can also keep up-to-date with all the scores from around the leagues, the latest player ratings and in-depth team news. Each issue also has the latest goings on from the transfer market and news on the biggest stars in world football. 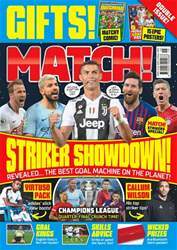 What’s more, in every issue of MATCH Magazine, young football lovers will find skill guides that help them improve their footballing ability and even tips and tricks for FIFA to help them beat their friends! This is the must-have magazine for keeping up with everything football related, from the Champions League to the National Leagues, it’s all covered so no matter who your following you get the full low down on them here. 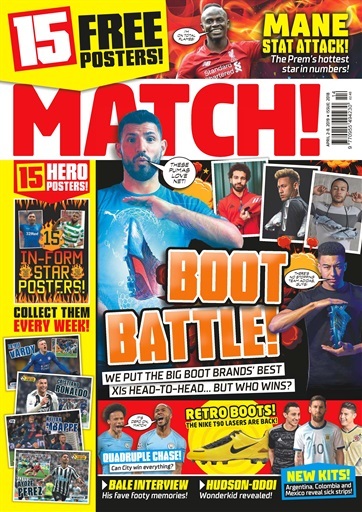 For football lovers, a digital subscription to MATCH Magazine is an absolute must! Why not subscribe today?